Milford J. 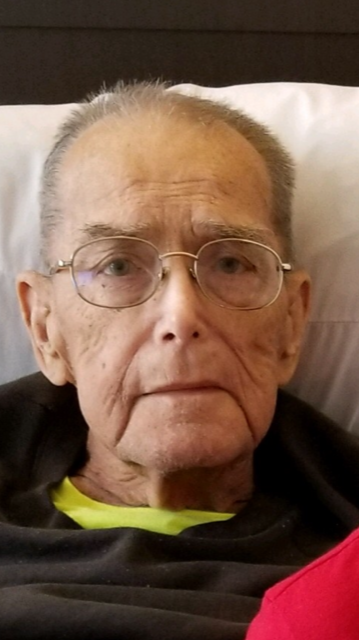 Burden, 77, passed away on November 29, 2018, at 5:53 am, at Mercy Health – St. Rita’s Medical Center, surrounded by his loving family. Milford was born August 19, 1941 in Lima, OH, to Milford W.E. and Betty J. (Gilroy) Burden who both preceded him in death. On June 4, 1960 he married Judith A. (Mowery) Burden who survives in Lima, OH. Milford attended Elida High School. He then enlisted into the United States Navy and was aboard the U.S.S. Truckee (AO-147). 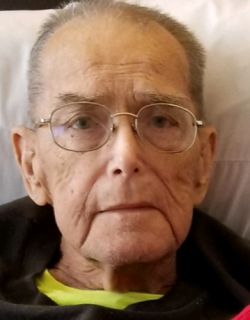 He was a Machinist at Warner Swasey, General Dynamics and Superior Forge and Steel. Milford and his wife Judith made it a habit to go to Meijer and get a coffee and donut early in the morning. They both would love to golf and work at the Tamarac Golf Coarse and bowl at 20th Century Lanes. Milford loved his karaoke and country blue grass. He was a fan of the Ohio State Buckeyes, Cincinnati Bengals and Cincinnati Reds. Milford is survived by his wife, Judith A. Burden of Lima, OH, daughter, Michele (Bruce Black) Cardone of Harrod, OH, sister, Shirley (Rob Huston) Burden McClain of Lima, OH, granddaughter, Stephanie Cardone of Lima, OH, great – grandson, Logan Michael Wireman, great-granddaughter, Kiley Alexis Wireman, great-great nephew, Braxten Johnson and many nieces, nephews, great-nieces, great – nephews, great-great nieces and great-great nephews. He is preceded in death by his children, Jeff Burden, David Burden, Milford Burden, and sister, Victoria “Vicki” (Dennis) Hughes. Memorial Services will be held on Monday, December 3, 2018 at 2:00PM at CHILES-LAMAN FUNERAL HOMES, EASTSIDE CHAPEL. In lieu of flowers memorial contributions may be made to the family during this difficult time.